Most practices and hospitals have a specific color of scrub that their staff must wear for uniformity’s sake. The benefit of such a uniform policy is that the staff has the appearance of a united team, while still allowing each employee the freedom to choose the brand and fit of scrubs that suits them the best. 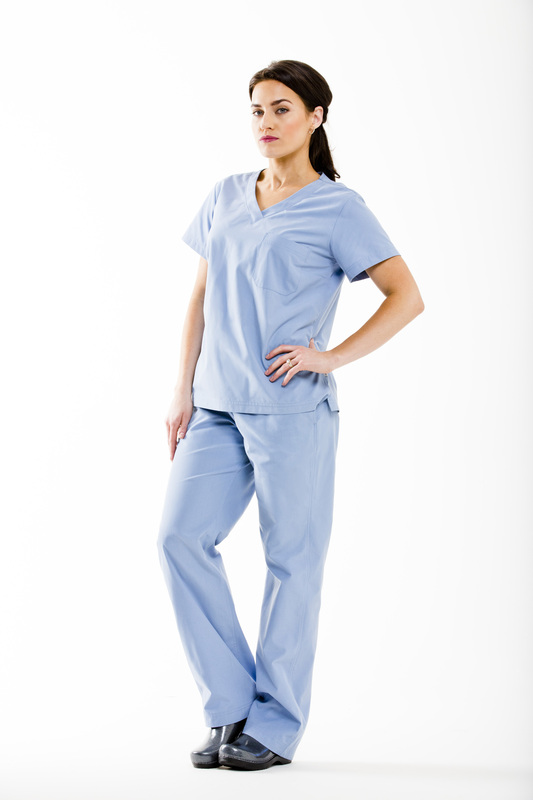 This color has historically been very popular for scrubs and in medical apparel for two reasons. First, the dark tone is slightly more formal than most colors. Second, as the darkest shade available, black is perfect for hiding stains. However, it has been argued that this can also cause less consistent hygiene in clinical settings. 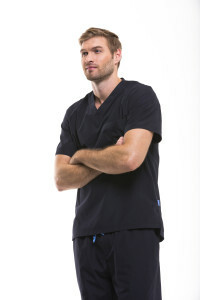 Dark blue shades are also very common for scrubs. This shade is muted, understated, and elegant. It gives a feeling of professionalism without being overly formal, and there are often several shades of navy blue to choose from. Also called “pool”, this pale blueshade is flattering on just about every skin tone. 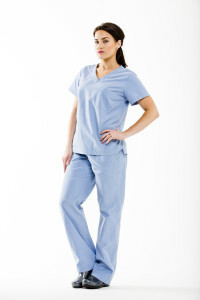 This color is a popular choice for scrubs because it is un-intimidating and cheerful, yet still professional. This vivid color is a wonderful choice in many clinical settings. This entry was posted in Medical Scrubs, Trends In Medical Apparel and tagged Scrubs, Trends In Medical Apparel on April 18, 2016 by Ariel Jacoby.